PLEASE NOTE: This kit is now obsolete. It has been replaced by the Casella Tuff Sampling Starter Kit (without monitor). 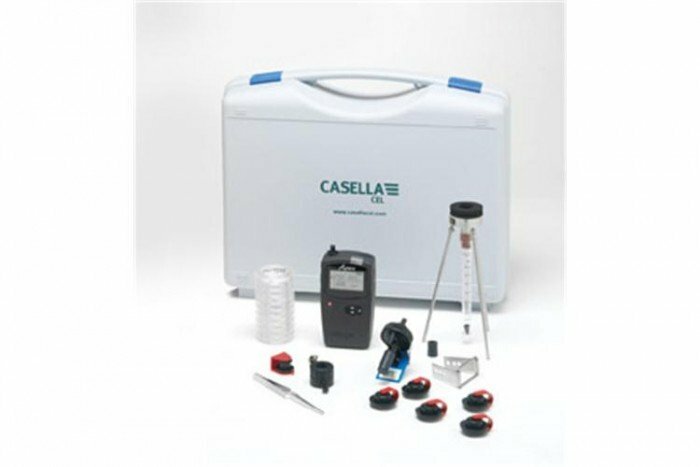 The Casella TUFF pump is ideally suited to a wide range of occupational health sampling applications, ranging from simple abatement sampling of lead and asbestos, to more specialised industrial hygiene monitoring of dusts, fumes and vapours. Ergonomically designed for user comfort - the TUFF pump has an easy to read display with high intensity alarm LED’s for fault indication. Other features of the Tuff pump include an real-time flow display, sampled volume and run duration and alarm display for flow or battery fault conditions. The keypad is also lockable and a 'fuel gauge' is displayed for battery information.